For more than a century, we have continually evolved to respond to the most pressing challenges facing our community and deliver on a core promise: create opportunity for all. 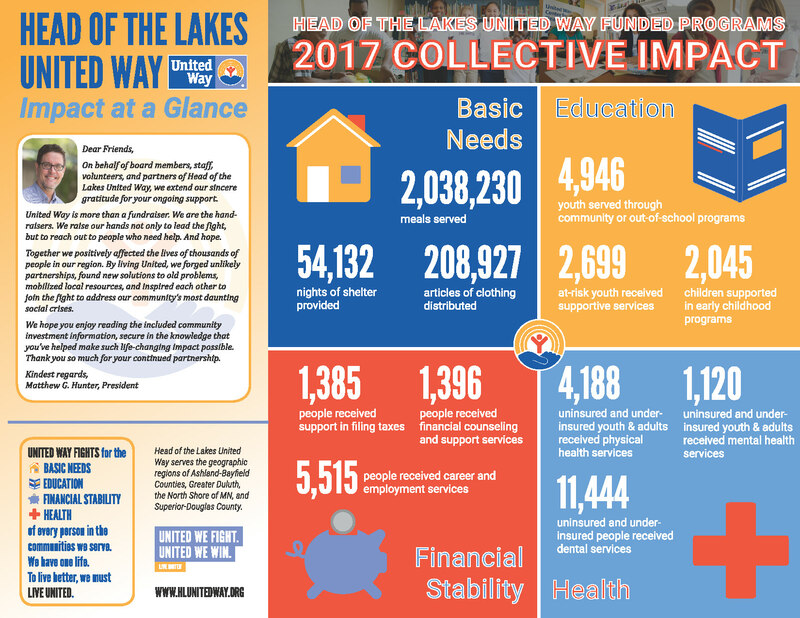 Through strategic investments in a network of local programs and initiatives, United Way helps meet the health and human care needs of people in the region by investing in the building blocks of a good life: Basic Needs, Education, Financial Stability, and Health. We invest in more than 75 local non-profit health and human service programs that provide services to residents in the Head of the Lakes region: Ashland-Bayfield Counties, Greater Duluth, the North Shore, and Superior-Douglas County. 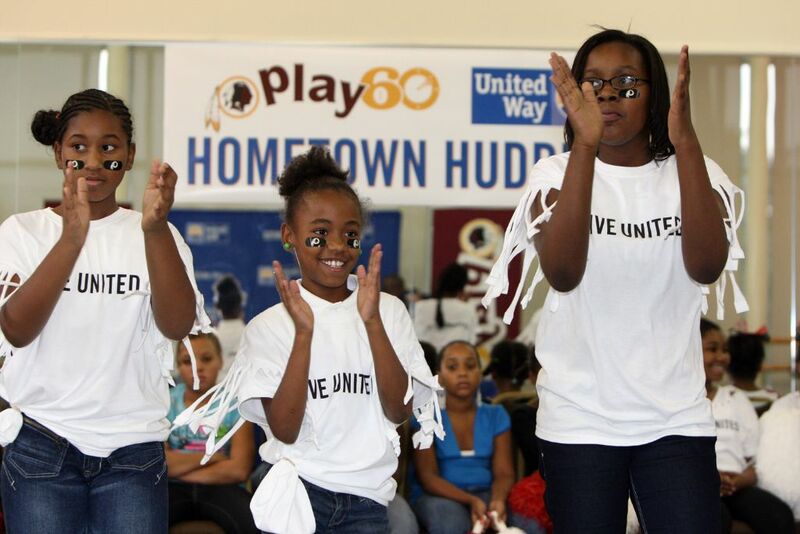 While United Way is fundraising, our partner agencies are addressing critical needs and helping thousands of people.